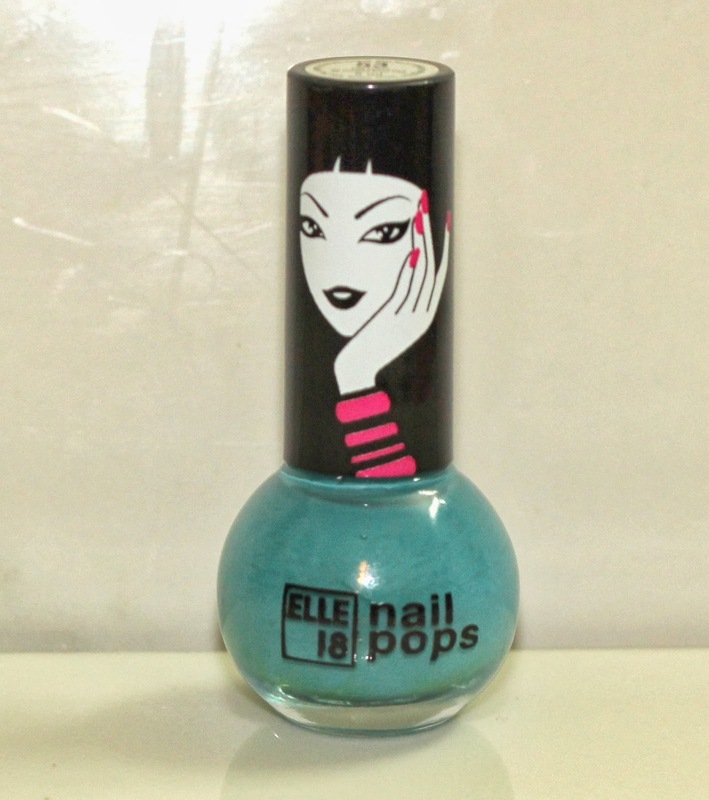 Elle 18 Nail Pop 53 (BUY Elle 18 Products online ) is a Robin Egg Blue color, a shade of cyan family. It's a very different shade that I have tried in nail paints so far. 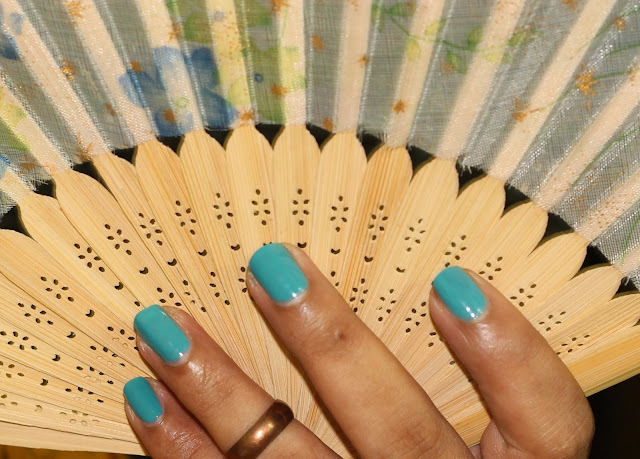 This muted "Robin Egg Blue" shade is a fun color wearable in any season. I have mentioned this many a times that Elle 18 nail pop formula, texture and finish is just too good in the price Rs. 50. 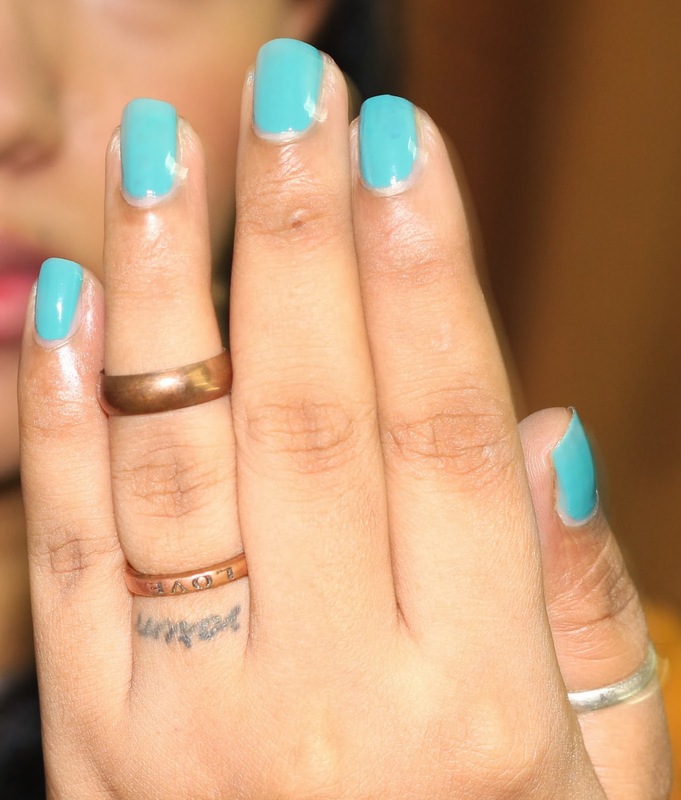 A budget option in nail paints when you want a quick manicure, variety of shades and do not want to waste nail paint. Nail pop 53 stayed for longer than 4 days and after that it chipped on the tip which is great because Elle 18 Nail Pop nail paints I have tried, have not gone for longer than 2-3 days. But I'd mention that longevity of a nail paint also depends on how you apply the nail paint. TIP # Thicker the nail paint coat is, faster it may chip; thinner the nail paint coat is, streakier it will get but stay longer. And the nail formula paints is the BEST if your nail paint stays for good for 5 -6 days, no matter how thick or thin the application is. 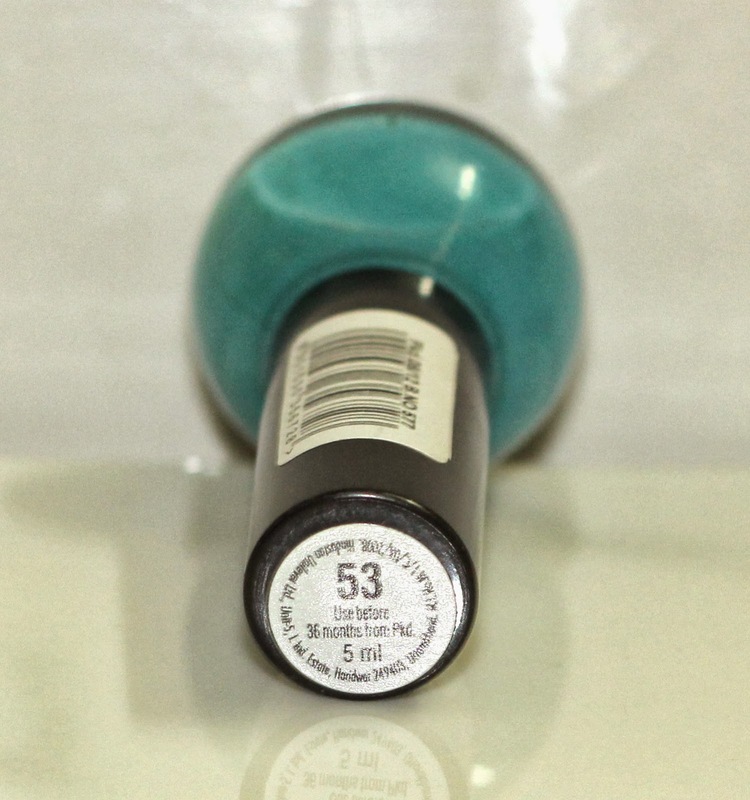 Elle 18 Nail Pop 53 is unique shade that you might not have bought yet. If yes, then go for it because it's a nice change from what you have been trying. If you already have a shade in your stack, you can let it go. Stay updated with more nail paint reviews by Shopping, Style and Us.